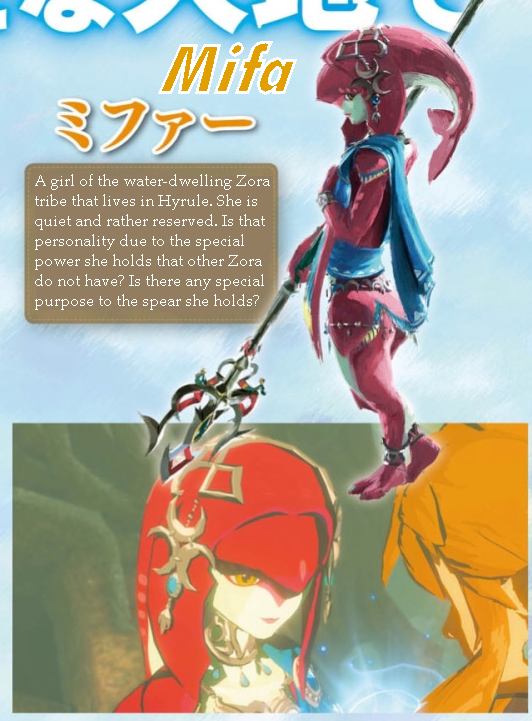 I translated mini profiles two characters in Zelda: Breath of the Wild in the latest (02/01/17) Famitsu. I put them on the pages too for your convenience. 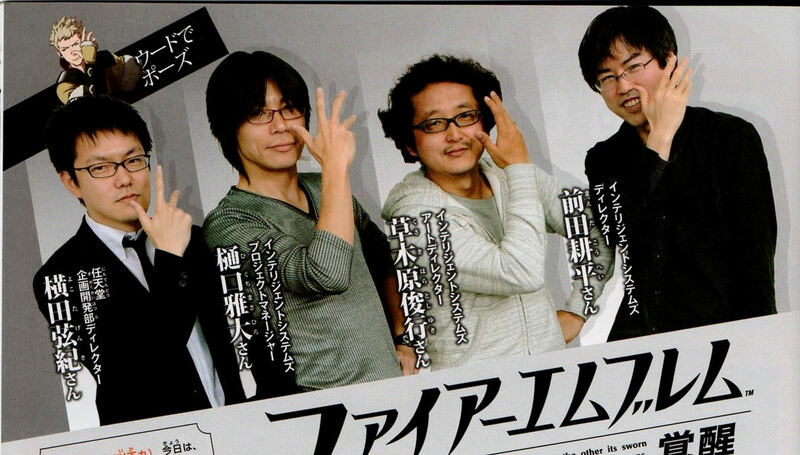 Thanks JapaneseNintendo for the scans! See notes for additional comments. Names. If you study or speak Japanese, you will know that they can go many ways. Mifa and Riibar (as well as Darkher) are just placeholders I put as I do not know what their official romanizations are, if any (a byproduct of avoiding most info for this game). Please know I do not consider these official in any capacity. ミファー, リーバル , and ダルケル (Lit: Mifaa, Riibaru, Darukeru). 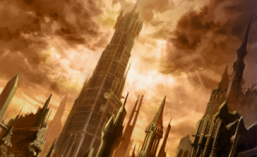 I just wrote Mifa, Riibar, and Darkher, though only have confidence in the first. 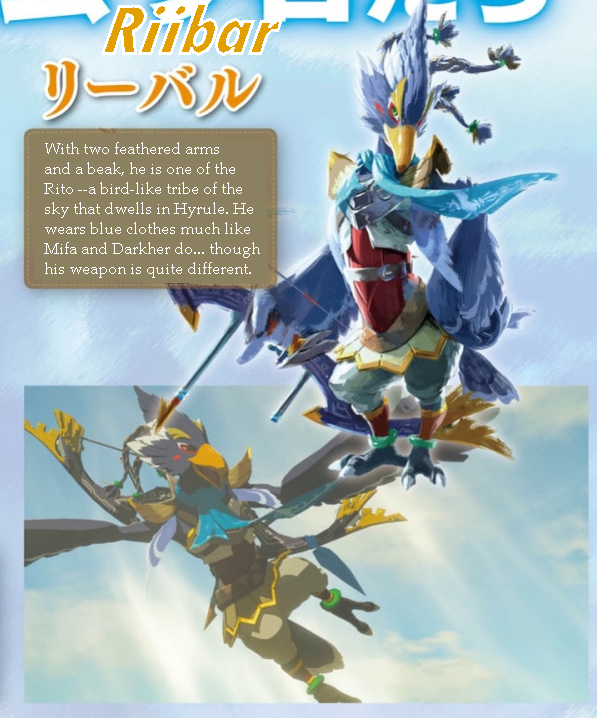 Riibar could also be Rivaar, River, etc just as Darkher can be another in the “Daru” series of Gorons, etc. Again, these are just quick names for ease and convenience. Ironic as it is, I am actually avoiding most info on this game to keep the surprise. These two characters I had a vague interest in but do not wish to discuss beyond what their profiles say here! Thanks for understanding! 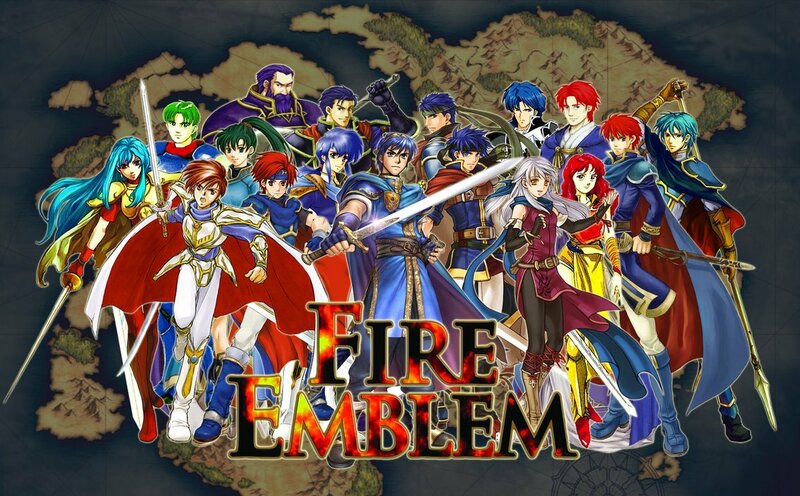 A fellow translator and FE fan over on Twitter was curious as to a certain post’s legitimacy, that is, a claim that before Fire Emblem x Shin Megami Tensei, there were plans for it to be Fire Emblem x Pokemon. 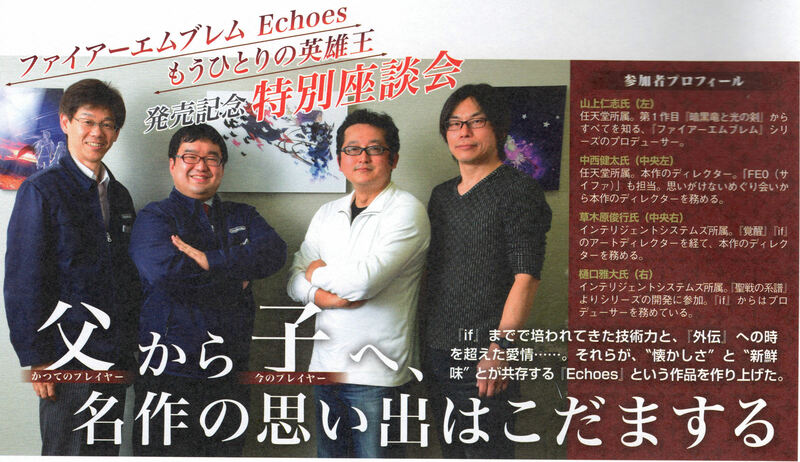 After some searching for the Nintendo Dream issue it had apparently come from (Dec. 21 2015 issue), a twitter follower came forward saying they had it, and provided me the scans. So, let’s please give a HUGE thank you to @nohrianpeach for not only providing the scan for that particular page, but for all the FE pages from this issue. It turned out this particular segment is actually in the companion booklet that came with the magazine, rather than the magazine itself. And so, here is the snippet translated. It turns out it is true, too! (I provide the transcript in Japanese below too, but the shot itself won’t be posted here. It is available by request however). It is only mentioned in passing in the first paragraph. Please tell us what led up to the planning of Tokyo Mirage Sessions #FE. 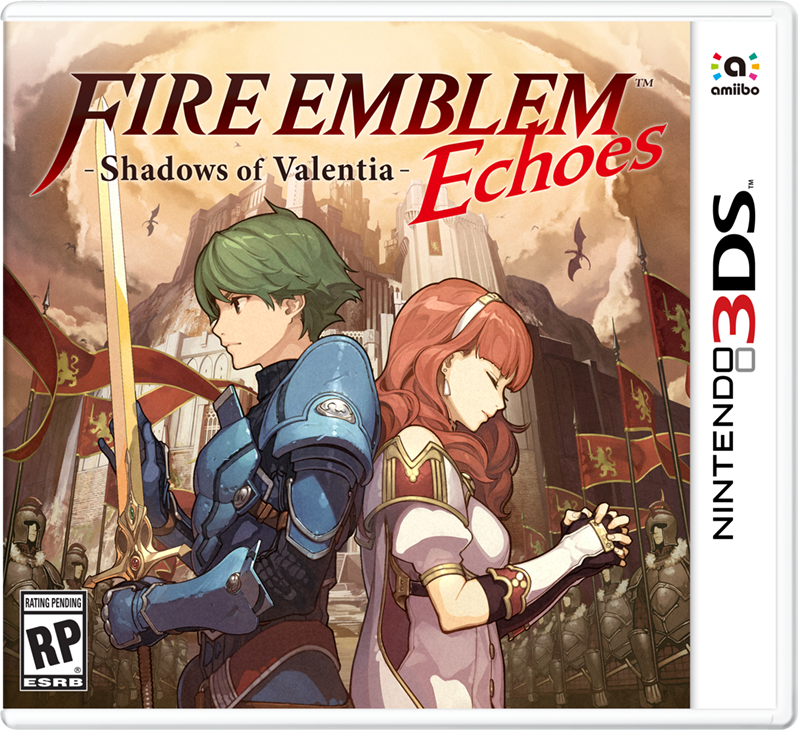 Yamagami (Nintendo Producer): 5 years ago, Ms. Andou proposed a plan [for a crossover], saying “You know, I think FE and Pokemon‘s rules are pretty compatible!” Though I agreed with her, by chance the Pokemon group had already proposed what eventually became Pokemon Conquest at the same time [so we were unable to follow through]. Andou (Nintendo Director): Yes, which I was in charge of too. Yamagami (Nintendo Producer): We replied immediately with, “Let’s do it!” We then quickly began to draft plans for the game, still only having a rough idea of what it would be. 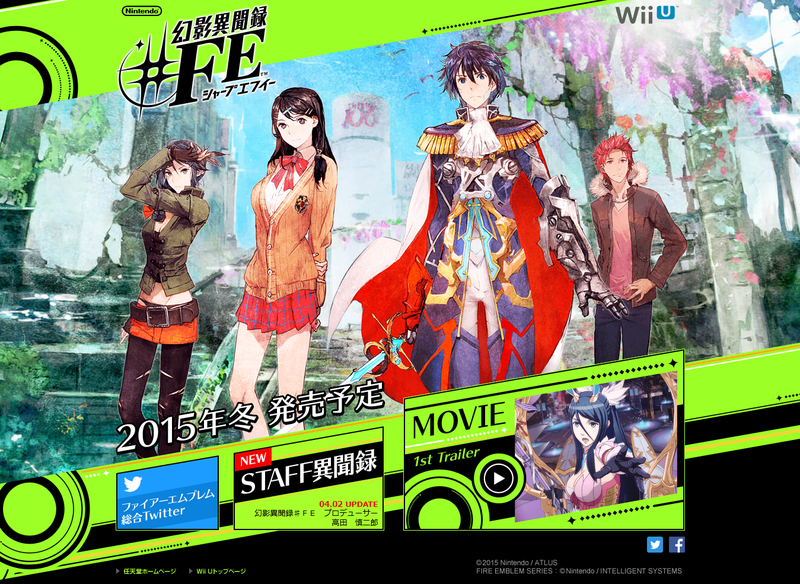 And so, we released an image that showed, “Shin Megami Tensei Meets Fire Emblem” to the public. And that’s that! There’s more to the interview regarding the development of TMS#FE that I may get to later, but right at the start they mention the potential Pokemon collaboration that didn’t come to be due to Pokemon Conquest. Imagine how FE x Pokemon would’ve been? Though, Pokemon Conquest itself was quite a fun game! So I don’t entirely mind having gotten that at the expense of the other game, personally. 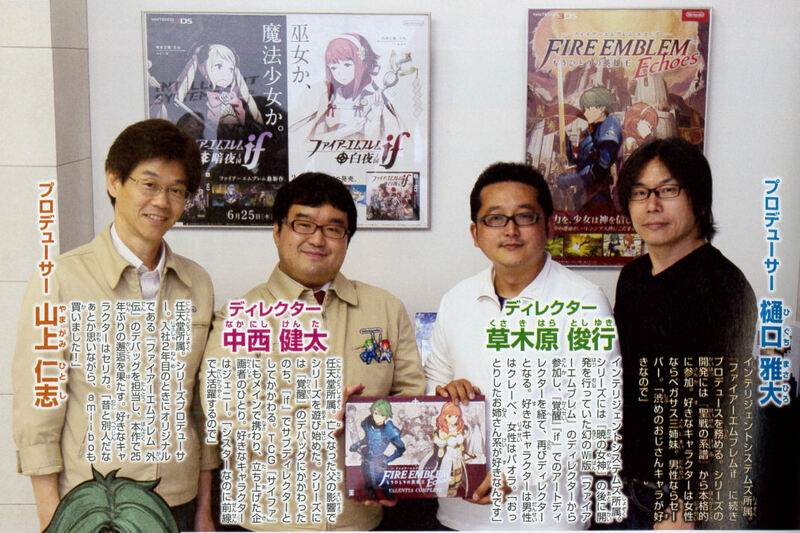 Once again, thanks to @shadwofchaos725 for bringing it to my attention, and @nohrianpeach for the scans!